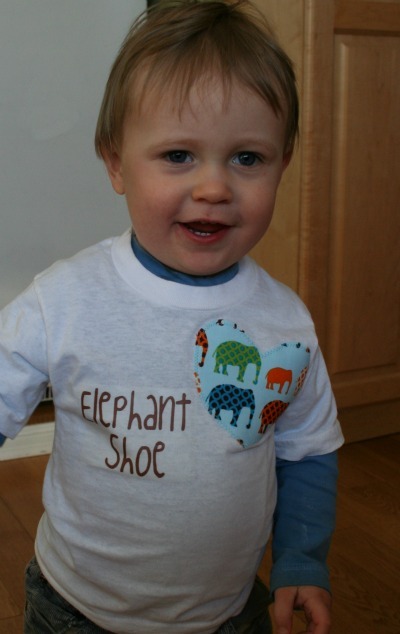 A Handmade Tale: Valentine's Day Shirt - for boys! 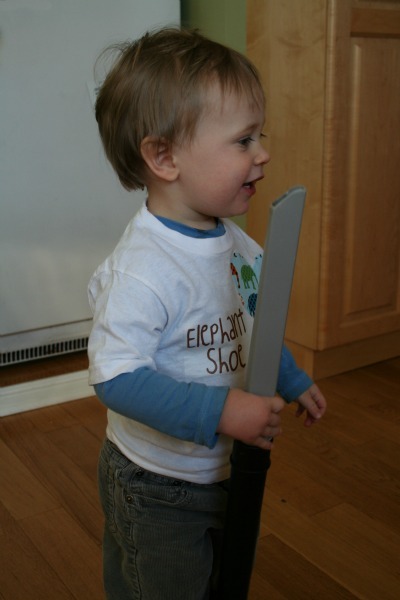 Valentine's Day Shirt - for boys! Do you know that one? Mouth the words in front of a mirror. 'I love you'. Saying 'olive juice' works too...but I much prefer elephants. The fabric was given to me by a friend, who found it at Tonic Living. But alas, it's no longer available. 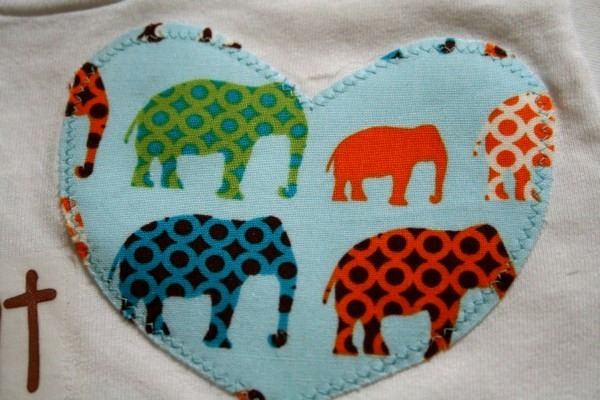 The heart is stuck on there with iron-on applique adhesive and secured with some zig-zag stitching. You don't have to do the stitching part, but it does help the applique last longer. 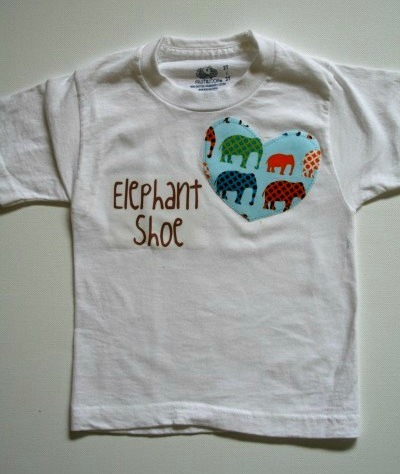 The lettering is also ironed on with printable transfer paper; it's found at most craft stores. 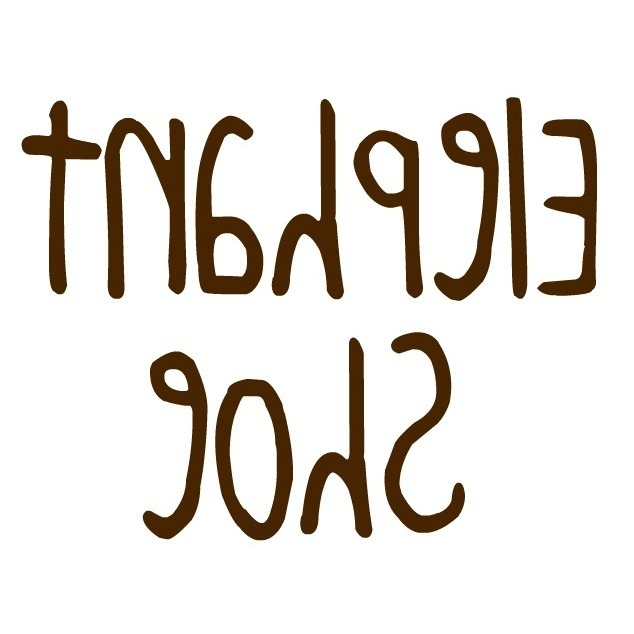 If you try out the transfer paper, make sure your lettering or picture is a mirror image before printing! 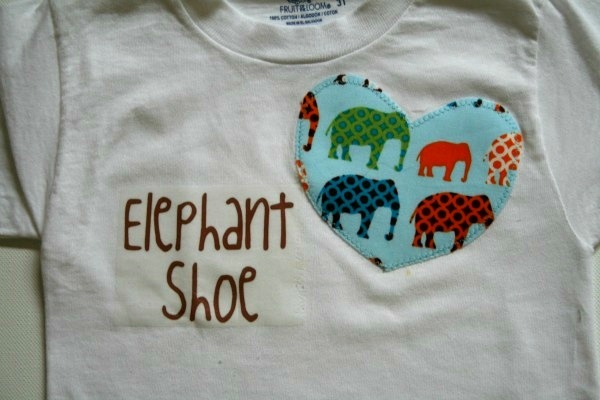 Would you like to make your own 'elephant shoe' shirt? Just save the image above and pop it into Microsoft Word....or whatever application you like to print your stuff from. Yeah....it's brown. Okay, so if you don't want brown (but who doesn't like brown!? ), here's what you can do: Upload the photo into PicMonkey, click on the 'Effects' tab on the left. It looks like a little science-y beaker (correct term is erienmeyer flask, if you are offended by my previous description). Scroll down to the 'Tint' option. You can make it any colour! Save it, print it, transfer it (please, please, please follow the directions!) and you're done. 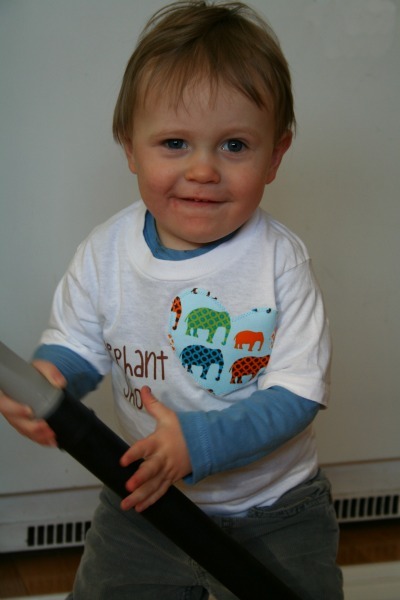 Rowan has recently become obsessed with the vacuum cleaner (yes, now less enchanted with the broom), he especially likes the extension hose. It doubles as a hobby horse on occasion.